Congratulations are in order for Gordon Ramsay and Tana Ramsay! 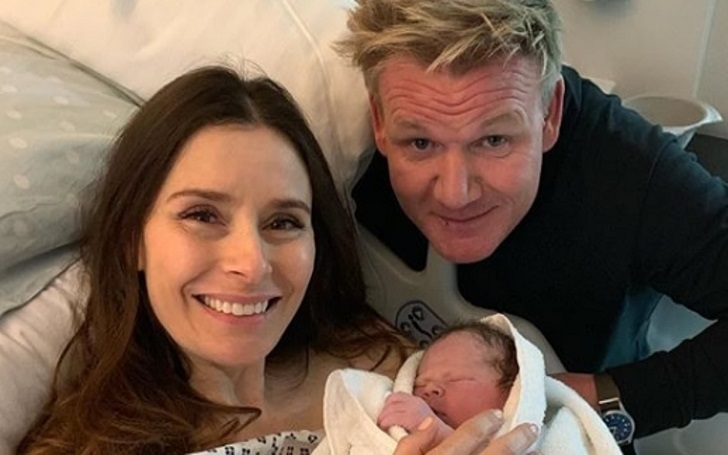 The British celebrity chef and his wife of more than 22 years have welcomed their fifth child, a baby boy, two years after suffering a miscarriage. The television personality photos of the newborn, including a smiling family picture of the chef leaning over while his wife, 44, cuddling the newborn in the hospital bed. Revealing the name of their son - Oscar James Ramsay - Gordon captioned the post, "After 3 baftas and one Emmy… finally we have won an Oscar." The latest addition joins siblings Megan, 21, twins Holly and Jack, 19, and Matilda, 17. As we previously reported, the couple announced in January that they were expecting another baby, with sharing a video clip in which everyone in the family cheers and shouts "Happy New Year" as the proud mom shows off her baby bump. The couple suffered a miscarriage in June 2016. Tana was into her five months of pregnancy at the time. Ramsay, whose net worth is estimated to be $175 million, became married with Tana in 1996.